One of America's top experts on European train travel shares her tips for making the most of Europe's extensive train network, and explains how rail passes work — and how to know when they’re a bargain. Then Road Food experts Jane and Michael Stern tell us what they look for in hometown "comfort food" restaurants, where everyone feels welcome. And listeners check in with reports on special travel moments from France, Spain, Poland, and Italy. Jane Stern and Michael Stern, authors of "Road Food"
Information about Alan Wissenberg's EurAide rail info service. Additional information about rail passes in Europe from the Rick Steves travel team includes rail pass revisions for 2015. 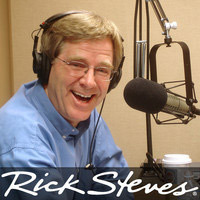 The Sterns have an interactive website where you can add in your own road food recommendations at www.roadfood.com. The Sterns' classic guide to more than 900 road food establishments around the USA is called "Road Food," and is in its 9th edition. Buford Highway is an area of suburban Atlanta known for its proliferation of ethnic restaurants and stores. A Texas branch of the USDA posts regulations for taking pets to Europe. Information about the Boquería and Saint Catherine's markets in Barcelona. Salone Internazionale del Gusto is the Slow Food Conference held in Turin, Italy every-other October. There appears to be a similar conference being planning in 2015 in Milan. The closing music excerpt this week was written and sung by Rita Abrams as a tribute to the city where she taught elementary school, and where caller Barbara lives. Ms. Abrams and her fourth grade class recorded the song "Mill Valley" in the early 1970s. Francis Ford Coppola made a video to accompany the song.